In 1965, a law was passed to allow former presidents of the United States to have Secret Service protection for themselves, their spouses (unless they remarry) and children (to a certain age) for life. This law was changed in 1994 to limit that protection to ten years after they left office. It applied to any president who was inaugurated after January 1, 1997. This left George W. Bush and Barack Obama as the two since then who would have only had the ten years of protection until January 10, 2013 when President Obama reinstated it for the two of them as well as all subsequent presidents. Richard Nixon is the only president to have ever relinquished his Secret Service protection. He did so in 1985 to save the government money. 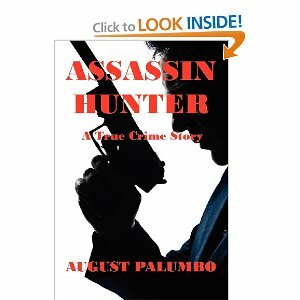 I’m reading a book now called Assassin Hunter by August Palumbo whom I met this past weekend. He’s a former ATF agent who also served in the Secret Service. His book is awesome and describes his work on one undercover job. It’s a great read and he’s a wonderful speaker. Check it out here if you like that kind of story. With his career, I’m betting that book is action packed. it sounds interesting. It really is action packed and reads like a thriller novel. He did a great job. Great fact. The book sounds like something I’d like. Thanks Lavada. I think you’d like it for sure. I have been glued to this book since I picked it up the other day. It’s in the first person pov and really draws the reader in. So good! It sure is, Linda. Love it.